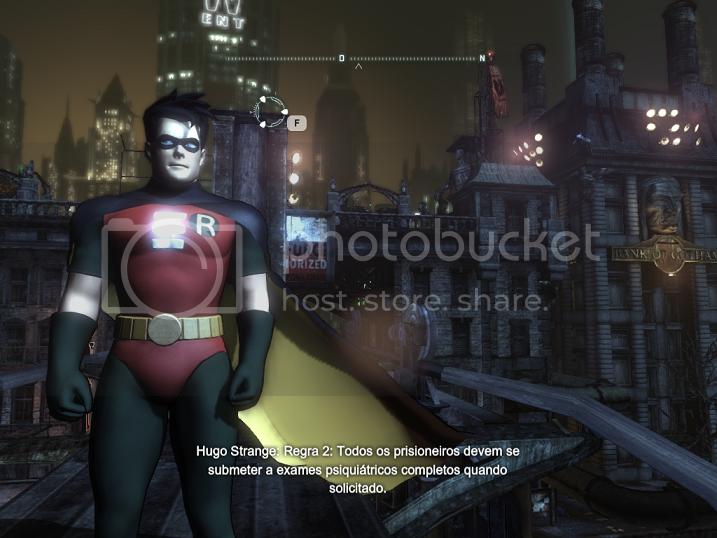 Arkhamverse.com - Forums • View topic - RED ROBIN, ROBIN ANIMATED & NIGHTWING ANIMATED Free-Roam! RED ROBIN, ROBIN ANIMATED & NIGHTWING ANIMATED Free-Roam! Own the games on PC? Feel free to share your graphics settings and mods in this dedicated sub-forum. 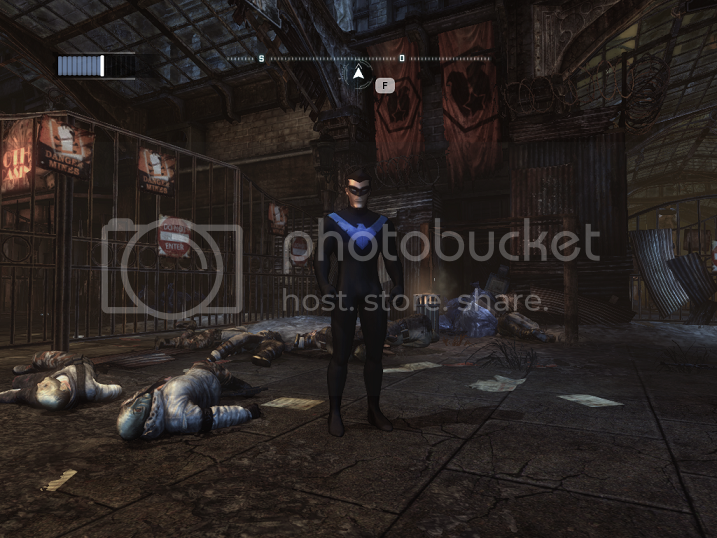 As most of you know, there is a change in a specific file that the game lets you play for a Free-Roam Arkham City as Nightwing and Robin as, which is not possible for the basic settings of the game. The man who discovered it's like, a genius, though I do not know his name, unfortunately, to credit it here. 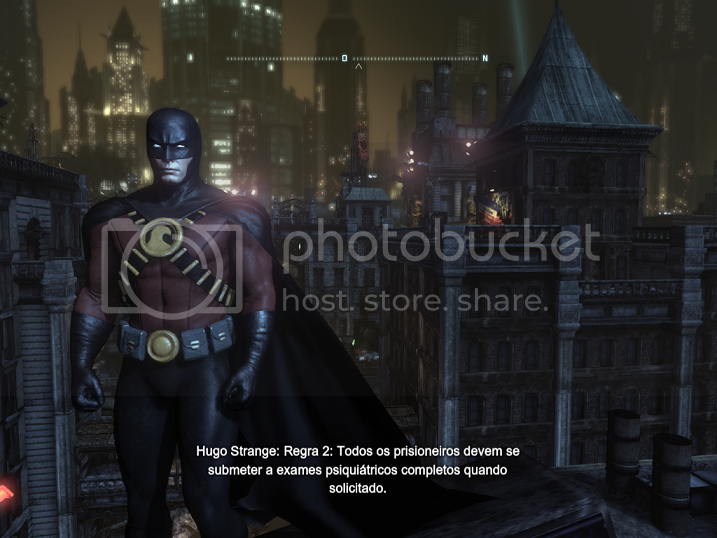 What happens is that I create many mods, and I like to play with them, but many of them are for characters who can not play on the base, and sometimes they are also not just Nightwing and Robin with their basic styles. So it's been a while since I've been trying to figure out how to modify that file basis that the guy went on the net so we can play with Red Robin and Robin Animated, and maybe, just maybe, the Animated Nightwing. Today, just now I finally found the files of these characters - which are invisible to change the setting in Control Panel to access the DLC's downloaded by Microsoft Live. Anyway ... Below is download the files - a bunch of text - to play with Nightwing and Robin - these two authored by someone else - and others to Red Robin, Nightwing and Robin Animated Animated - they have of my own, even it is a tiny change in the base text and my participation in this creation is tiny -. There is yet another file that would be the BASE GAME, the original file, so if you lose, you can return it normally. It is also clear that you must have already purchased the DLC's. The directory these files is "C: \ PROGRAM FILES \ WB GAMES \ BATMAN ARKHAM CITY \ BMGAME \ CONFIG". There you will see a file called DEFAULTGAME. To preserve it, change its name, for example, to DEFAULTGAME1, or something. Then you copy the file with the character you want to play there and glue, removing the additional name, leaving it only as DEFAULTGAME for the application to read it as the basis of the original game. And then you run the Arkham City and ready. I still did not take screenshots, but I'll do it now and then just put them all already, beauty?! Cheers, guys! Location: In front my PC! Dear God. Is this what I have become? More animal than man. When will the surrender be complete? It's cool for the ones that are interested in the free-roam, it's not my thing though. 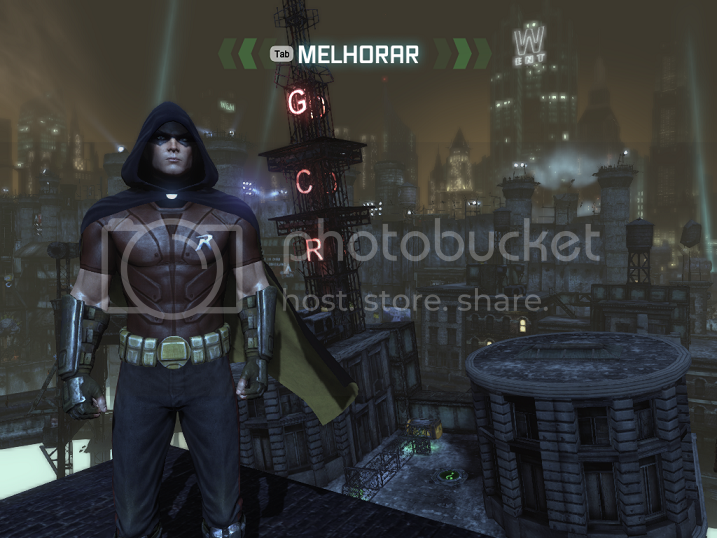 Oh and the guy who found out how to free-roam as nightwing and robin, at least I think it's him, is JD_Method. You can read his thread HERE. God why can't they have modding for consoles! Give me one damned reason!! Arrrhhgghhghghhhh!!!! "My father was convinced the world wasn't ready...what do you think?" The Dark Crusader wrote: God why can't they have modding for consoles! Give me one damned reason!! Arrrhhgghhghghhhh!!!! Its illegal to mod games in both Sony and Microsofts terms and conditions when using their online services. Dude, you could have left a comment on my video on YouTube and I would have told you how to do this. But nevertheless, well done on figuring it out for yourself! It's not too hard when you know how, is it? doesnt work on me! i've done as you say...however i have the game on my 2nd hard disk (D:\Programmi\WB Games\Batman Arkham City\BmGame\Config) and i have a bmgame folder there and here: C:\Documents and Settings\Administrator\Documenti\WB Games\Batman Arkham City\BmGame\Config too ...what could be the problem? Rocksteady did such a good job with Nightwing and Robin in Arkham City. I hope they're playable in story mode in future "Arkham" games. Also, we won't be seeing any mods on consoles in a long time. The reason: Trophies and Achievements.